Welcome to the PhD Student Conference, Ecology in a Changing World. The conference will be held on the 23th to 25th of March 2019, in Biological and Chemical Research Centre, University of Warsaw, Żwirki i Wigury 101, 02-089 Warsaw. The meeting is open to PhD students of plant, animal and landscape ecology, conservation ecology, biogeochemistry and microbial ecology, their supervisors and other ecologists from any country. The aim of this meeting is to give an opportunity to young scientists to share their scientific ideas, experiences and improve presentation skills in English. We do not expect conference-type presentations, which pretend that everything is already solved. Presentations can include open questions and discussions of possible alternative ideas or methods. After the conference participants will have a possibility to take part in an after-conference excursion and a R workshop. For more details please see Registration. Join us at Polish Ecological Society (Polskie Towarzystwo Ekologiczne, PTEkol) Meeting! During the conference the reactivation meeting of Polish Ecological Society will be held. We invite you to attend the meeting and join the Society. We are going to discuss future plans and actions of the Society. For more details please see PTEkol. Submission of abstracts closes on 28.02.2019. Registration for the conference is possible till 15.03.2019. Attendance at conference is free. We don’t cover accommodation costs. Abstracts (in English, around 300 words) for talks and posters should be submitted on echo2019@biol.uw.edu.pl. Talks will be 15 minutes in total, including 3 minutes for questions (12+3). Preferred poster size: up to 120 cm high x 84 cm wide (standard A0 scale). The best presentations will be awarded! Post-conference excursion to the Central Vistula Valley (Natura 2000 area). Date: Monday, 25 March 2019 at 10:00-16:00 hrs. We are pleased to invite you to the excursion to the Warsaw section of Vistula valley - an outstanding natural area. Warsaw is the only capital in Europe with the natural, unregulated river, protected within a Natura 2000 site, flowing through it. The river banks and its islands are essential breeding habitats for many rare bird species related to the alluvial forests and unstable sandy islands. The Vistula is also an important migratory corridor for birds such as ducks, swans, osprey, seagulls, cormorants, terns and waders as well as many passerine species. It is also a wintering place for various species of ducks, gulls and white-tailed sea eagles, which can be even seen in the city center during the winter. At that time of the year we would be able to spot many bird species belonging to all of the abovementioned groups. The natural character of the riverbed allowed for the preservation of patches of nearly natural alluvial forests. However, until recently most of the valley was covered with semi-natural meadows and pastures, many of high natural value. The abandonment of the traditional management allowed for the comeback of the forest but on the other hand, it facilitated the invasive species encroachment, such as American goldenrod. During the trip, therer will be the opportunity to see the place where Vistula river meadow restoration project took place in 2014-2016 and see if it was successful in suppressing alien, invasive plant species and increasing the biodiversity of the floodplain grasslands. a botanist from Department of Plant Ecology and Nature Conservation, University of Warsaw, whose main research interests focus on the ecology of wetlands, especially peatlands, and on the restoration of non-forest ecosystems. He is actively involved in many nature conservation projects. Remember to have tickets for Warsaw public transport. We would travel with two busses both ways so, if you do not have long-term tickets, you would need at least two 75 min tickets. Our destination is the Vistula river floodplain in Wilanów district in the south of Warsaw, where we would see the site where floodplain meadows have been restored after they were invaded by alien Solidago and at the same time we would try to spot some bird species related with floodplain meadows, alluvial forests and Vistula riverbed, which are protected within a Natura 2000 site Dolina Środkowej Wisły PLB 140004. In the field we would spend about three hours, which means that including one-hour bus travel one way we would be back around 16. Remember to take with you a raincoat (it might be cool with some showers), water and some food for lunch. We advise to have outdoor shoes as the ground could be wet and muddy. If you would like to, we advise you to take with we you binoculars for birdwatching. We would organise some for those who do not have their own but the amount could be insufficient. If you have any additional questions do not hesitate to ask the organisers. Date: Monday, 25 March 2019 at 17:00-20:00 hrs. In the workshop we will exercise a very simple example of a typical data analysis workflow according to the scheme: import, tidy, transform, visualise, model, using basic concepts of dplyr, data.table and ggplot2 packages. Please bring your own laptop. Number of participants is limited. PhD student from Department of Plant Ecology and Nature Conservation, University of Warsaw, quantitative ecologist. We are pleased to introduce our key-note presenters and wish to thank them for their time. Jan Frouz is the director of The Charles University Environment Centre. During his training and academic carrier he gained broad expertise in many fields of ecology and pedology, in particular: soil biota, belowground interactions, nutrient cycling, soil formation. Recently he is engaged in exploring complex interaction between human society and environment. January Weiner is the leader of Ecosystem Ecology Research Group at the Jagiellonian University. His research focuses on the ecology of terrestrial ecosystems especially on forest ecosystems and soil subsystems, ecological stoichiometry, global biogeochemistry, tropical ecology and biodiversity. His areas of expertise also include evolutionary ecology and bioenergetics - evolution of energy budgets. Many know him as an author of the seminal ecology textbook Życie i ewolucja biosfery. Agnieszka Gałuszka has been a Full Professor at the Institute of Chemistry, Jan Kochanowski University in Kielce since 2015. Her research interests are environmental geochemistry and biogeochemistry, stable isotope geochemistry, trace element geochemistry and green analytical chemistry. She is an Associate Editor of the International Journal of Environmental Science and Technology. dr hab. Dries Kuijper, prof. PAS, Polish Academy of Sciences, Białowieża, Poland. Dries Kuijper is the associate professor at the Mammal Research Institute, Polish Academy of Sciences. His main research interests is the impact of small, medium and large herbivores on plant communities. Recently, together with his group at the Mammal Research Institute, he started studying the indirect effects of large carnivores on ungulate-tree interactions. Bogdan Jaroszewicz is an associate professor at Faculty of Biology, University of Warsaw, head of the Białowieża Geobotanical Station. His research concentrates on ecology of forest ecosystems, with special attention paid to plant-animal interactions, climate change effects on species and ecosystems and functional ecology. Since the beginning of his professional career Bogdan Jaroszewicz has been working in the Białowieża Forest: till 2005 he worked for over a decade in the administration of the Białowieża National Park and then, as a scientist, he carried out most of his studies in this special forest. Aside of teaching at the Faculty of Biology (Nature conservation, Ecology, Botany) and carrying research (over 100 scientific and popular publications), recently he is deeply involved into the iniciatives aimed on increasing of the efficiency of protection of the Białowieża Forest. Low price accommodation places in the close neighbourhood of the venue are available in student dormitory Dom Studenta Nr 1 „Muchomorek”, Żwirki i Wigury 97/99 and Dom Studenta Nr 2 „Żwirek” ul. Żwirki i Wigury 95/97. 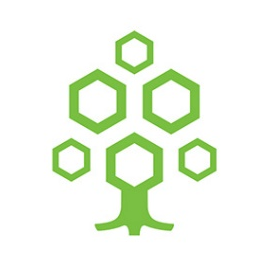 The first communication on the ECHO Conference, included information on a planned General Meeting of the Polish Ecological Society. This information was formally incorrect, we apologise for this. In fact, using the occasion of the conference, we are planning to organise an organisational meeting dedicated to a re-activation of the society. Polish Ecological Society (Polskie Towarzystwo Ekologiczne, PTEkol) was established in 1993 and was active during the following 20 years. After this period the society’s activity was, however, discontinued, which resulted in a formal removal of the Society from State registers in 2018. The undersigned represent a group of Polish ecology scholars, including members of the last Board of PTEkol and young scientists - organisers of the ECHO conference. Our initial consultations indicated that there is a need to re-activate the Society, which should again serve as the main forum for exchanging scientific ideas among Polish ecologists, facilitate contacts with foreign scientists and become a source of scientific opinions and initiatives related to a broadly-understood field of ecology. The organisational meeting will be carried out just after the ECHO conference and will be soon announced in a separate communication. Dr hab. Wiktor Kotowski (University of Warsaw, Faculty of Biology) – in the name of the Scientific Committee of the conference ECHO - Ecology in the Changing World. W pierwszym komunikacie dotyczącym konferencji ECHO znalazła się informacja o planie zorganizowania w czasie konferencji Walnego Zgromadzenia Polskiego Towarzystwa Ekologicznego. Informacja ta, z formalnego punktu widzenia, była błędna, za co serdecznie przepraszamy. W rzeczywistości, planowane jest zorganizowanie spotkania organizacyjnego dotyczącego reaktywacji ww. Stowarzyszenia. Polskie Towarzystwo Ekologiczne (PTEkol) zostało utworzone w 1993 roku i czynnie funkcjonowało przez kolejne 20 lat. Po tym okresie jednak działalność Stowarzyszenia została zawieszona, co doprowadziło do formalnego usunięcia go z krajowego rejestru w 2018 roku. Niżej podpisani, reprezentując grupę polskich ekologów akademickich, w tym Członków ostatniego Zarządu PTEkol, a także młodych naukowców organizujących konferencję ECHO, wyrażają przekonanie o potrzebie reaktywacji Polskiego Towarzystwa Ekologicznego, jako forum wymiany doświadczeń i idei naukowych, łącznik ze środowiskami naukowców zagranicznych oraz ciało opiniotwórcze reprezentujące środowisko szeroko-ujętej ekologii. Spotkanie organizacyjne poświęcone reaktywacji PTEkol odbędzie się bezpośrednio po konferencji ECHO i zostanie wkrótce dodatkowo ogłoszone w osobnym komunikacie. Dr hab. Wiktor Kotowski (Wydział Biologii Uniwersytetu Warszawskiego) – w imieniu Komitetu Naukowego Konferencji ECHO – Ecology in the Changing World. © , Igor Nowicki (website), Aleksandra Nowakowska (logo, layout).